Summer brings us warm weather, sunshine, flip-flops, and a variety of outdoor activities. While we’re often aware of using sunscreen and sitting in the shade to protect our skin, did you know extreme temperatures and direct sunlight can also damage your cell phone? 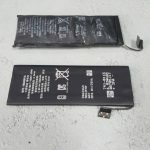 Mobile phones contain many extremely sensitive parts, and within minutes high temperatures and direct sunlight can overheat the battery and cause other damage to your phone. While the best thing for your phone is to be kept in a shady, cool location, it’s easy to forget your phone in the car, sitting on a picnic table, or out on the poolside chair. Video streaming or running very demanding apps can cause a processor to heat up normally, but when you add temperatures over 86 degrees Fahrenheit, the phone gets a double whammy of heat. and even result in bloated or swollen batteries. Some phones will alert you if the phone is in danger of overheating so you can manually power it down and give it a break, but not all phones have this feature. If your phone overheats, the best thing to do is to put it somewhere to gently cool off, like in a tote bag or an air conditioned room and keep the phone powered down. Never place your phone in a refrigerator or ice chest–cooling a phone too rapidly can cause it to short circuit. Next, simply contact Mobile Madness for a repair. With convenient locations in Medford, Grants Pass, and Ashland, the professionals at Mobile Madness can have your phone up and running again sometimes in just minutes. Our staff will diagnose the phone quickly and recommend the most cost effective and efficient method for getting the phone up and running again. For more information, contact us.